We spend a great deal of time assuring that our churches are smoothly functioning organizations. Some of this is cultural and a great deal of it is required by law, but we must admit that we are often more comfortable thinking of the church as an organization rather than as the people of God. Dealing with the nuts and bolts of church life and administration may be a burden but it is something that we can quantify and control. If we are indeed God’s people, we will find ourselves dealing with the spiritual and opening ourselves up to the work of the Spirit. This way leads down unknown paths that we might prefer not to walk. The recovery of classical spiritual disciplines—centering prayer and lectio divina, for example—and the increased attention to the church year and liturgy by churches that used to dismiss these practices as “Papist” expresses a desire by many Christians that church be more than an organization. There is within most of us a sincere hunger to be present with God and open ourselves to the blessings of that presence. The years ahead will not be easy for many churches. In a recent article, Diane Butler Bass addressed the end of “conventional church” mired down in politics, division, and acrimony. She suggests that what is emerging “is closer to what Jesus hoped for his followers than . . . we have now.” The change that upon us may be threatening to some, but it is really our primary hope to fulfill our calling as God's people. 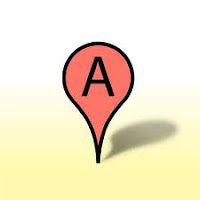 Perhaps one of the greatest and simplest inventions of the last century was the map at the mall with the dot that marked the spot where you were standing when you read the map: “You are here.” On one occasion I thought to myself, “Where else would I be?” But it does make sense, doesn’t it? We must start where we are geographically, in time, in life, and in leadership of the church. It would be foolish to start where you are not! There have been a number of outstanding books written over the last two decades about the missional church--a church that is “on mission with God” or acknowledges that it is part of the missio Dei. The most creative and less helpful ones are those that assume that you are either starting a church from scratch or that you are willing to commit ministerial suicide by instituting radical change in an established church in order for it to become missional. The most helpful volumes are the ones that are written for those who lead traditional churches that are plateaued, are declining, are seeing a new understanding of what it means to be the church, or lack spiritual vitality. These books acknowledge that you have members who expect pastoral care, you have to subscribe an annual budget, you have an church building that may need repairs, you have established constituencies within the congregation built on certain interests—music, youth, missions, etc—and that you are dealing with a leadership body that you don’t select—church council, deacons, session, or parish council. For the most part, I have been part of churches like that. I participated in one new church start that survived and worked on another that didn’t, but both were rather traditional in their approach to “doing church.” Therefore, when I write about the church, I am coming out of an established church tradition. At the same time, I believe that it is possible for such churches to embark on the journey of “becoming missional.” Whether a church can ever be a truly “missional church” is debatable, but becoming one is a worthy goal and one that any church can work toward if it decides to begin that journey. I love the church, but I recognize that it is led by and composed of individuals. These are persons that have accepted the call to be the people of God, but they are still flawed, seeking individuals. I hope that as I address issues related to the missional journey that my readers will understand that I appreciate the daily challenges involved in “becoming missional” but also the great hope it gives to each congregation. We look to the stars, but our feet are on the ground. Prayer has been part of my life as long as I remember. Perhaps I should say that a certain type of prayer has been part of my life. During a Centering Prayer Workshop led by Rev. Tom Ward today, I was challenged to reflect on what and how I really pray. I think most of my prayers have been based on two words—“please” and “thank you.” I probably should refer to this as the “Barney the Purple Dinosaur” approach to prayer. Like most of us, I politely come to God with a request. If I perceive that there is a positive response to that request, I express appreciation. If things don’t work out the way that I prayed for them to, I assume that I did not ask the right way or that God was not particularly concerned about my request at that time. This is a pretty one-dimensional approach to a relationship that is meant to be much more. Ward suggested another approach to prayer—a contemplative way. His definition of contemplation is “responding to God without words in adoration and praise with an attitude of doing less and less so that God can do more and more.” This basically means surrendering myself to God so that God can take the initiative in prayer. Contemplative prayer takes seriously that God wants to give and will do so freely if we will open our hands and receive what God offers to us. Certainly the rewards that God provides are far richer and more appropriate than we can conceive for ourselves. Although we practiced this method of prayer today, I can’t say that I understand it and I certainly am a long way from practicing it on a regular basis. I must admit however that it seems to make more sense than the “Barney” approach. Churches face this temptation to rush forward when a pastor leaves and to get a new person as soon as possible. Organizations are afraid to allow a possible vacuum in leadership to develop for fear that what momentum there is will be lost. We rush ahead without taking time to learn during the time of transition and to process that experience of moving from one way to thinking to another. My friend Alan Roxburgh talks about a time of liminality—a threshold between what has been and what is to come. We assume that what is to come will be like what we have experienced before but we should not rush to that assumption. The liminal time is the nexus between what has been and what is to come. It is a place of learning, a place to hesitate, to process the turbulence, to learn from it, and then to move forward. Although they may not wish to admit it, moderate Baptists in the South are going through such a time of liminality. The old consensus began breaking down thirty years ago. In its place, new structures and methodologies were birthed, old networks were renegotiated, and some bold steps were taken. But we have not arrived yet. We are still in that liminal space and the passage through it may take a long time. As I read the words of Teilhard de Chardin quoted above, I have a feeling that there will continue to be some period of instability and uncertainty before we arrive at a new equilibrium—whatever it is. I rarely agree with columnist George Will about anything but, if what he states is accurate, I have to share his concerns about a proposed monument in Washington, D.C., for Dwight David Eisenhower, 34th president of the United States. Eisenhower was President when I was in grade school. My parents, lifelong Democrats, thought so much of him that they joined many other Southerners in voting for a Republican candidate for the first time in their lives in 1952. “Ike” was a bona fide war hero, a country boy who rose to the rank of 5 star general and served as Supreme Commander of Allied Forces in Europe in World War II and the first commander of NATO. 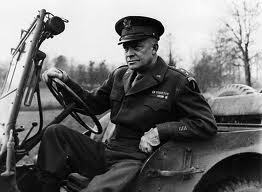 Eisenhower turned his military success and command experience to good use in the politics of being President. Although some criticize his failure to confront McCarthyism sooner and his tolerance of some corruption in his administration, Eisenhower stood against military-industrial excess, used the nation’s military power wisely, led the nation in great strides in racial equality, and presided over a time of economic growth for the country. According to Will and other reporter, the proposed “memorial” harkens back to his days as a “barefoot boy” in Kansas reflecting on his potential greatness. The monument fails to recognize the accomplishments of the man. 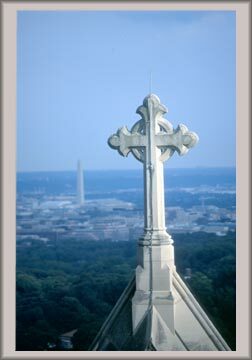 Will points out that Philip Kennicott, cultural critic of the Washington Post wrote that the memorial “ celebrates the ‘relatively small representation of Eisenhower’ because ‘there were other Eisenhowers right behind him, other men who could have done what he did, who would have risen to the occasion if they had been tapped.”” That’s just the point. They were not tapped, Eisenhower was. General George Marshall is reported to have kept a notebook with a list of officers he was watching develop for over a decade. It is a list of talented men who served their country well, but Eisenhower was the one that Marshall and President Roosevelt chose for the big job—the liberation of Europe. On this Presidents Day, I agree with George Will on this point: Eisenhower was either a great man who deserves a worthy monument or he wasn’t. If he wasn’t, don’t add a tacky park to downtown Washington. If he was one of the best of his generation, then build something that celebrates that greatness. About three years ago, my friend Mark Tidsworth invited me to consider a ministry of coaching and to join his new organization, Pinnacle Leadership Associates. Three years have gone by quickly as I have practiced coaching, learned about coaching, and developed a network of coaching colleagues. The most rewarding aspect of this journey has been walking alongside clients as they discover where they want to grow and to intentionally pursue that growth. As I have seen the benefits that a coaching relationship produces in the lives of clients, I have also thought about ways to incorporate this in the life of the church. Now more than every before, the church needs the means to empower believers and take them to the next level in their Christian walk. I have conducted peer coach training in my local church and taught one course for Central Baptist Theological Seminary on “The Ministry of Coaching.” Conversations with friends and colleagues have generated many ideas about how coaching can be used in disciple-making, leadership development, staff development, and committee/team leadership in the church. Because of this experience and awareness, I am enthusiastic about Disciple Development Coaching©, a process to help incorporate a coaching culture into the life of the church. DDC is Mark Tidsworth’s creation, but he has given me the opportunity to help bring the concept to reality. There are six steps in the DDC process—Ask, Listen, Explore, Design, Commit, and Support. DDC training provides both clergy and laity with the skills to practice this process of developing believers. The Foundational Course for Disciple Development Coaching© will be offered May 14-17, 2012, at Lutheridge Conference Center near Asheville, North Carolina. This will be followed by a six month practicum and coaching on how to implement DDC in the participants’ ministry settings. More information about DDC can be found here. Every follower of Christ has been blessed with the potential to grow in Christ and to serve others. Our purpose in offering DDC is to help each believer to become what God has called him or her to be. Come join us on the journey! 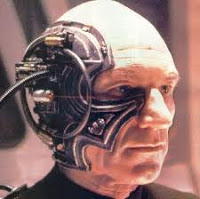 When I receive promotion pieces or e-mails advertising conferences and resources on assimilating people into the church, I think about the Borg on Star Trek: The Next Generation: “Resistance is futile. You will be assimilated.” This may be unfair, but I wonder how ready people are to be assimilated. Does the very term threaten one’s individuality? Does this mean that the person will have to give up something and become less of what God created him or her to be in order to become part of the congregation? What if we turned this around? In Organic Community, Joseph Myers suggests that we should ask the question, “How does the church assimilate itself into people’s lives?” The church will have a more robust ministry and will be more deeply invested in the larger community if it becomes part of believers’ everyday lives. Rather than trying to get unchurched people into the doors of the church so that they can be exposed to the truth of the Gospel, what if we took the Gospel into the world? Certainly this is a radical (and biblical) idea. How can we do this? Several ways come to mind. First, we can help believers to develop their daily walk with God through personal Bible study, prayer, and the practice of other spiritual disciplines. Second, we can help them to be more responsible stewards of the resources (especially the financial resources) that God has place in their hands. This can involve something has simple as classes on budgeting, wise shopping, and the value of saving. Third, we need to support our members as they deal with family issues—couple communication and decision-making, raising children, providing care for family members with special needs, and caring for elders. Fourth, we can encourage them to keep their eyes open for ministry opportunities that they encounter in their daily walk and encourage them to take the time to become involved without feeling guilty because they have to give up doing something at the church building. Fifth, we can articulate a theology from the pulpit and in Bible teaching groups that helps each believer to see his or her work as a Christian vocation and the marketplace as an arena of God’s activity. Basically, perhaps it is time for us to emphasize “go” as well as “come” activities. I was surprised and appreciative (and a little flattered) when I received a call from the executive director of a non-profit organization in another city inviting me to serve as the master of ceremonies at a dinner they were sponsoring to honor a long-time friend. The dinner was a fund-raiser for an organization with a worthwhile mission and my friend certainly deserved the recognition. I thought this would be fun. I would tell a couple of stories about my friend, introduce some folks, and enjoy the fellowship. When a letter asking me to buy tickets for the event arrived, I responded and then made hotel reservations for the weekend. As the time drew closer for the dinner, I did not hear anything from the organization about the program. A week before the scheduled dinner, I called and left a message for the executive director. When she called back, she said, “Well, I did not hear anything back from you, so I invited someone else to do it.” I was angry and a little embarrassed. I am sure that she could tell that I was not happy, so I broke off the conversation as quickly as possible. My wife urged me to go anyway, but I was too frustrated and did not want to ruin my friend’s recognition. I learned later that I had completely misinterpreted what the executive director was asking of me. As I heard about the dinner after the fact, I found out that what she wanted was not a person to preside, but someone to plan the program, invite those who would speak, and come up with a printed program for the evening. We had failed to communicate about our relative expectations of what a “master of ceremonies” would do. There was a lack of clarity in our conversation. In reality, I probably was not the best person to do what she needed done. I share this story because it reminds me how often we fail to get a clear picture of where we are going and what is expected of us. Even when we use the same words in conversation with others, we may mean different things. In coaching, I often find myself pushing a client to articulate more clearly and specifically where they are going and how they intend to get there. Clarity is important. My friend Gary Wood teaches an approach to coaching that he calls The Clarity Model. His point is that we cannot achieve anything if we don’t clearly understand where we are going and the things that help or hinder us in getting there. I recommend Gary’s training not only because it is a good model but because I see how often we fail to have a clear picture of what we hope to achieve. Getting clarity cannot only save one embarrassment and frustration but can result in significant life changes. The sanctuary of our church is located just a block from the downtown fire station, so the worship experience often has to continue while fire engines pass with sirens blaring. The vehicles and their occupants are on their way to fires, car accidents, or other emergencies. Those of us who worship there on a regular basis have gotten used to it, but our failure to take notice may not be a good thing. Perhaps we should be more aware of the interruption and learn a lesson about nurturing interaction with the world outside our doors. I don’t think we can argue with scholars who explain that the Greek word ecclesia (or ekklesia) was used in translations of the Old Testament to mean “assembly” and in the New Testament to mean “called out” ones. In the New Testament, it became a common way to describe a local body of believers who drew apart from the larger community for worship and fellowship. But perhaps we should also remember that as Jesus comforted his disciples in the upper room, he recognized that they were “in the world” (John 17)—this was their natural habitat--and he prayed for their strength and witness there. Jesus recognized the challenges and opportunities beyond the walls of that room. This was the realm that called for witness. The Acts of the Apostles gives many examples of Christians living out their faith and sharing Christ in marketplaces, streets, and the Temple court as well as assembling in homes. Their faith was part of their lives, and they carried it wherever they went. Certainly we need times to withdraw for worship, prayer, and encouragement. The church house provides a convenient place for that to happen, but the “real action” is outside the doors. It is the place where we pray, witness, and worship each day. The “world” is where we recognize and witness to God as creator, redeemer, and sustainer of all of life and creation. The sirens remind us of the mission field beyond our doors. Pictured above (L to R): TCBF Coordinators Ircel Harrison, Jr., September 1998-2008; C. William Junker, January - April 1996; Lila Anderson Boyd, January 1997-August 1998; and Lloyd T. Householder, Jr. November 1994-1995. 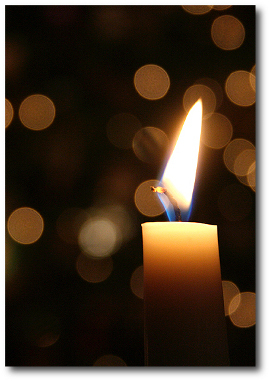 Lloyd T. Householder, Jr., passed away on January 30. Lloyd was one of those people who made the old Southern Baptist Convention work. He was a true “denominational statesman.” In his service with the Baptist Sunday School Board, Lloyd found creative ways to tell stories and bring people together. He invested much of his life in telling the good things that Baptists could do when they worked cooperatively. His creativity and innovative spirit is exemplified in his role as chair of Mission 70, the conference for young adults that challenged a generation (including myself) to accept their role in impacting the world with the message of Christ. Like many of us, Lloyd would not accept the changes that came to Baptists in the South during the “conservative resurgence” in the SBC. He helped to form the Tennessee Cooperative Baptist Fellowship and became its first coordinator, serving as a volunteer in order to conserve funds for mission work. When I became coordinator, I had the opportunity to have lunch with Lloyd from time to time, work with him on TCBF committees, and visit with him and Rose Marie. He was friend to me and to TCBF. Despite the fact that he was a leader in a dissenting group, Lloyd never had a negative spirit. He was always an encourager to me and one who pointed TCBF toward the future. He saw what was good and worthy, seeking to share those things with a larger audience. Lloyd, Monty Jordan, and Bill Junker have all passed away in the last two years. They all served as coordinators of the TCBF. Each brought his own perspective to the role and provided insight and support for me as I assumed the position. Along with my immediate predecessor, Lila Boyd, they believed that the Baptist way offered something important to the larger church. I thank all four for their commitment and service. Management guru W. Edwards Deming is reported to have said, “Yesterday’s solutions are today’s problems.” Solutions or responses to needs are formulated for a particular time, place, and context. Often they deal with the immediate problem but their shelf life is usually limited. Markets, constituencies, and technologies change. What seemed so good ten, fifteen, or twenty years ago is no longer practical and might even be counter productive. I was talking recently with a friend who was asking me questions about a solution that I helped develop for an organization over 15 years ago. When we put this particular “solution” into place, the intention was to answer a need in a particular place. As I remember the approach was seen as an experiment that could be tweaked and modified over time but we were not ready to “bet the farm” that it would even work in that situation much less be applicable elsewhere. As you might expect, this experiment has become policy. The idea in itself is not bad, but whether it fits all situations is questionable. There is also the possibility that this approach is being used simply as an escape clause without attempting something new and creative. Leadership does not like a particular situation so, rather than seeking a new solution, they just use the one that is available whether it fits or not. I could go on at length about this but my question is, “Are we ready to get rid of yesterday’s solutions and adopt approaches that meet current needs?” As I have moved from place to place in ministry, I have sometimes had contact with places where I served ten, twenty, even thirty years ago that were still using programs that were started when I was there. Am I proud of this? No. Few programs, processes, or solutions are meant to live forever. Let’s come up with some new solutions that those in the future will have the opportunity to reject! As I was doing some research for a course I will teach this summer for Central Baptist Theological Seminary in Shawnee, I came across a concept that I have not thought a great deal about, and I found information about it in an interesting place. First of all, the concept is “apprenticing.” The idea was much more common in a world where there were no trade schools, community colleges, or employee training programs. Although it has certainly been around since the beginning of civilization, the idea of apprenticeship took off in the Middle Ages. A master craftsman would enter into an arrangement with a youngster fifteen or sixteen years of age and teach that apprentice a trade such as blacksmithing, baking, etc. After a certain number of years and proven competence, the student would either become a journeyman practitioner of the trade or set up his own workshop. The second surprise is that I found a great explanation of apprenticing in a podcast by pastor Andy Stanley. Stanley is both a committed student and gifted practitioner of leadership. He provides some good insights in his podcast. In this case, he talked about the challenge he gives to every staff member to “teach someone to take your place.” In other words, practice apprenticeship in your ministry. In Stanley’s presentation, he suggests three stages in apprenticing—selecting, modeling, and coaching. A leader should take time in finding a person who is talented, motivated, and teachable. Once that person is identified, he or she should spend time with the leader observing how he or she practices ministry, asking questions, and learning both philosophy and techniques. Finally, the apprentice begins doing the work and receiving coaching or feedback. The coaching in this model is much more hands-on and directive than in the usual life coaching relationship since the leader is really trying to instill something new into the life of the learner. As Stanley points out, leaders are called not only to be learners but to be teachers as well. The best way to encourage a new generation of leaders is to invest in available, gifted, and teachable people by sharing one’s own experience and knowledge. Let’s Hear It for Eli! Being an only child is a mixed bag. You get a lot of personal attention growing up (a blessing or a curse?). As you grow older, you often wish that you had someone to relive childhood memories. You also would appreciate someone to share the responsibility of caring for elderly parents (but having a sibling doesn’t assure that will happen). At the same time, an only child doesn’t have to worry about being compared to an older sibling. I thought about this last night when Eli Manning was interviewed after leading the New York Giants to a Super Bowl victory. Even on the winner’s stand, Eli was asked how he felt about winning the game “in the house [Lucas Oil Stadium] that his brother built.” Couldn’t the interviewer let Eli savor the moment without brother Peyton being brought into the picture? Eli has never gotten the respect he deserves. He is usually thought of as “Peyton’s little brother” and he good-naturedly spoofs that image in commercials as well as in interviews early in the week before the Super Bowl. His talents as n NFL quarterback have often been questioned. He was even asked at one point in pregame interviews if he thought he was in the same league as Patriots’ quarterback Tom Brady. 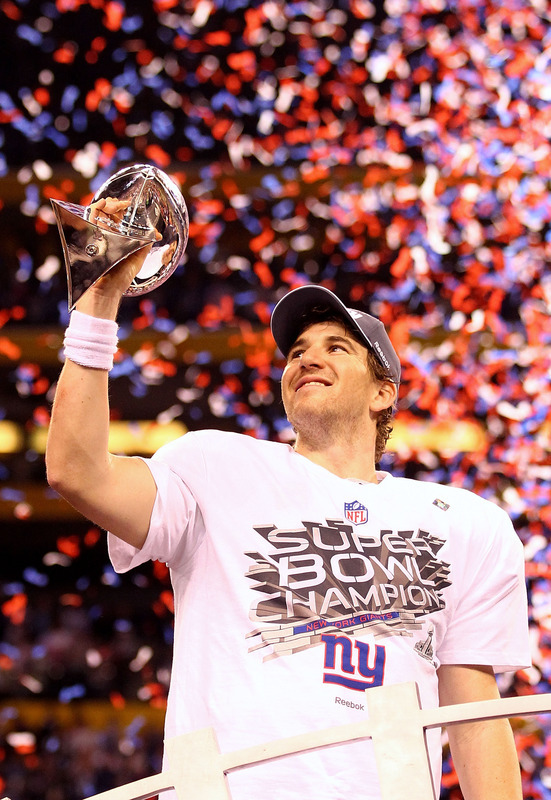 Now with a second Super Bowl victory over the Patriots and one more Super Bowl ring than his brother, perhaps it is time to give Eli the respect he deserves. He has certainly worked for it and earned it. This church has embraced the reality that, as a missional church, there are a number of organizations with which they can partner to accomplish their ministry goals. If one takes the time, he or she will realize that although each of the organizations mentioned is a Christian entity, they do not all adhere to the same faith statement. In fact, of the four mentioned, three are more conservative in their orientation and one is well within the orthodox camp. We might also note that denominational mission groups are at the end of the list after two parachurch organizations, but I don’t want to read too much into placement in that list. What does this mean? I think it means that this particular church has recognized that its members want to work with different kinds of organizations, each of which reaches a specific niche or population. If we were to gather representatives from each of these organizations on one platform, we would find that they come from varied backgrounds, use different methodologies, and interpret the Christian faith in their own ways. We might also find that in spite of these differences, some of the field representatives of these groups even find themselves working together to meet local needs. Many Baptist churches are like this church. Members put together dozens of boxes for Operation Christmas Child (a Samaritan’s Purse ministry) each year without asking what Franklin Graham, President and CEO of the organization, has said or done recently. In those same churches, Sunday school classes take up offerings and goods to send to local, national, and international ministries without checking their doctrinal statements. In these cases, people respond because they recognize a need and want to respond. Does anyone honestly believe that they can make any Baptist church support one mission organization, use one particular publisher’s curriculum, or obtain all their services from one denominational source? It is time to face reality. The monolithic age of church allegiance is over. Welcome to reality! “From the very first day, we were there, taking it all in—we heard it with our own ears, saw it with our own eyes, verified it with our own hands. The Word of Life appeared right before our eyes; we saw it happen! And now we're telling you in most sober prose that what we witnessed was, incredibly, this: The infinite Life of God himself took shape before us.” (1 John 1:1-2, The Message). John’s testimony was that the apostles had seen the future in a person—Jesus Christ. Christ had revealed in human form what God has prepared for humankind—the infinite Life of God As the master of time and space, God is not limited by our mortal perception or perspective. God has not only seen the future; God has prepared the future; God is part of the future as well as the past and present. The Son of God manifests that truth and is a harbinger of things to come. The implications for us are disorienting to say the least. We are not only encouraged and informed by the past acts of God in the world but we are being pulled forward into a new age, one that has already broken through in the life and ministry of Jesus Christ. We often talk about it as the Kingdom of God. We know that the Kingdom began with Christ and that the Kingdom is breaking into our world through the work of the Spirit among believers today, but we often fail to remember that the Kingdom in its fullness is already there for us. It is not dependent on us but has been provided by God. A favorite expression in my family of origin was, “Don’t bite off more than you can chew.” It was not used just at the dinner table but also as a reminder that sometimes we attempt more than we are capable of completing. I thought of this when I heard someone use the term "mission creep" recently. Wikipedia defines “mission creep” as “the expansion of a project or mission beyond its original goals, often after initial successes. Mission creep is usually considered undesirable due to the dangerous path of each success breeding more ambitious attempts, only stopping when a final, often catastrophic, failure occurs.” Journalists coined the term in reference to the United States’ disastrous involvement in Somalia in the 1990s, but it can be used to describe our nation’s experiences in Korea, Vietnam, and Iraq as well as Somalia. 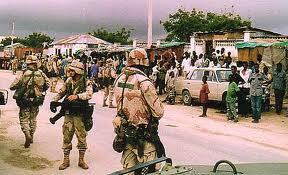 Our intentions were good, we invested lives and resources in the fight, but we were in over our heads. “Mission creep” or “getting in over your head” is tragic when it happens in military actions, but we often experience this in other settings as well. A good example is higher education where a four year school begins to offer degrees at the masters level, then wants to move on to offering doctorates without regard to the need of constituents or the resources available. Churches do it when they decide that they have to adopt certain programs, develop new ministries, and construct new buildings in order to “give people what they need” and sacrifice their mission in the process. The key idea (and it is a dangerous one) seems to be this: “If you are going to be a real (fill in the blank), you need to . . . ." In recent years, the Cooperative Baptist Fellowship has struggled with this concept. Although CBF has denied wanting to be a denomination for much of its history, there has been an inexorable move to adopt more of the trappings of a full-service denomination and this has often taken more time, money, and people power than anticipated. What are the basic needs of your situation, context, or constituency? What are you (and your organization) really gifted to do? Can you state clearly the desired outcome? What resources are at your disposal? Will you know when you have reached your desired outcome or goal? How? Organizations have the same struggle that we have as individuals. Our choice is not between the bad and the good but between the good and the best. There are so many things to be done and so little time. Wise people set priorities and follow through until those priorities are achieved. Wise organizations might well do the same. I sincerely doubt his generalization that “everybody” wanted to be part of a megachurch. 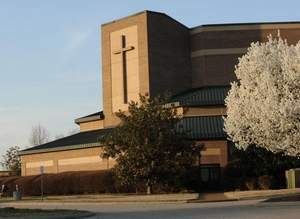 There are many of people who do like to attend big churches (and 850 attendance is still a big church to most of us), but there are many smaller congregations that have continued to survive and even prosper despite the growth of megachurches across our nation. A lot of folks have invested themselves in churches in their neighborhoods and communities. 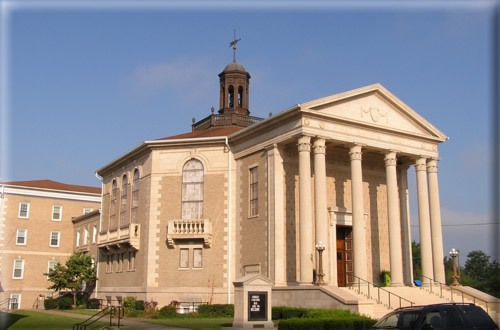 Different size churches offer various advantages and disadvantages to participants. He is right on target that people want to be part of a church where they can build relationships. Although Sunday school classes are no longer the doorway to church participation and membership that they were in the past, they still provide the “hook” that keeps people involved. Large churches and megachurches have often depended on small group ministries to serve the same function of connecting people so that they can build meaningful relationships.